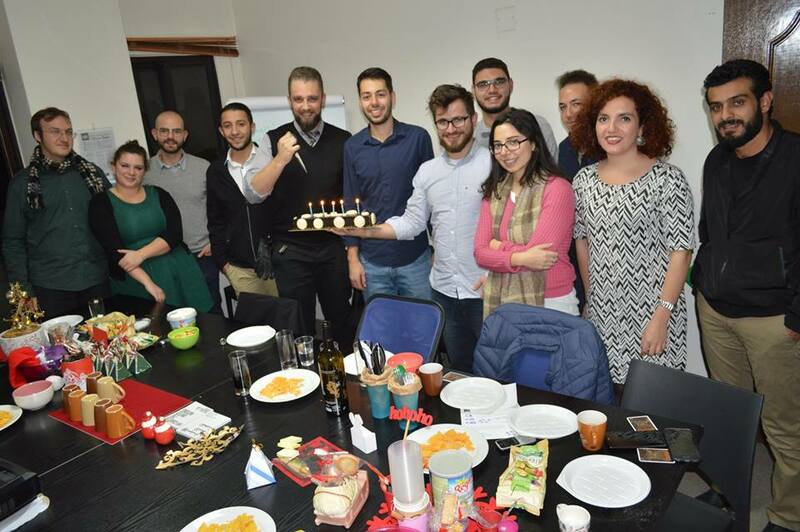 On December 29, 2017, WYAME staff, members, certified members, Lebanon national committee members, and friends gathered at the WYAME regional office in Beirut to celebrate WYAME’s fifth birthday. All attendees ate, played games, and reminisced about how WYA brought them together and formed bonds of everlasting friendship. Staff members took the opportunity to inform the members of all the upcoming projects in 2018 and to get their suggestions on what the Regional Office and they, as WYA members, would like to do or see being done in the future. Afterwards, the cake was cut and everyone wished WYA a bright and successful year ahead in the Middle East Region.